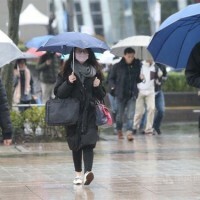 TAIPEI (Taiwan News) -- The Kaohsiung Prosecutors Office is charging a man on multiple counts for selling bogus bottled water over the course of 10 years, reported Liberty Times. 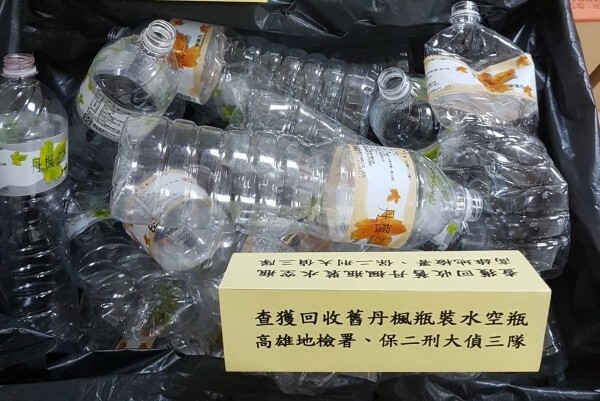 On March 13, Kaohsiung authorities announced that they had raided the home of a 51-year-old man surnamed Lee (李), who had gone through a female accomplice surnamed Chen (陳) to collect discarded "Danfeng Water" (丹楓之水) bottles and then fill them with public tap water inside his apartment. 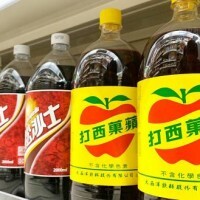 He would then take the fake "mineral water" and sell it hotels and barbecue restaurants in the Kaohsiung Area. 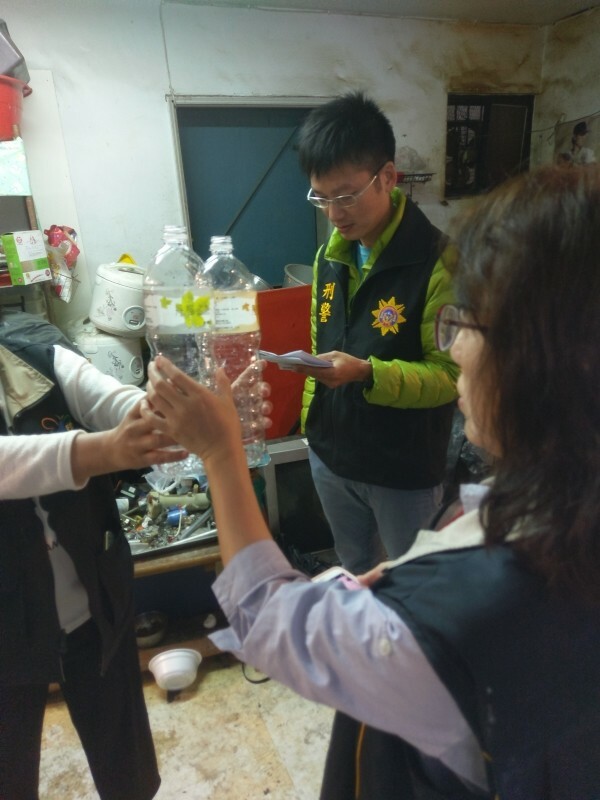 After an investigation, authorities discovered that Lee had been operating the sham water business for 10 years and had made NT$3.36 million (US$115,000) in illegal profits. Lee and Chen were charged with theft, fraud, trademark infringement and violation of the food hygiene law, among other crimes, and the two were released on NT$50,000 and NT$20,000 bail respectively. 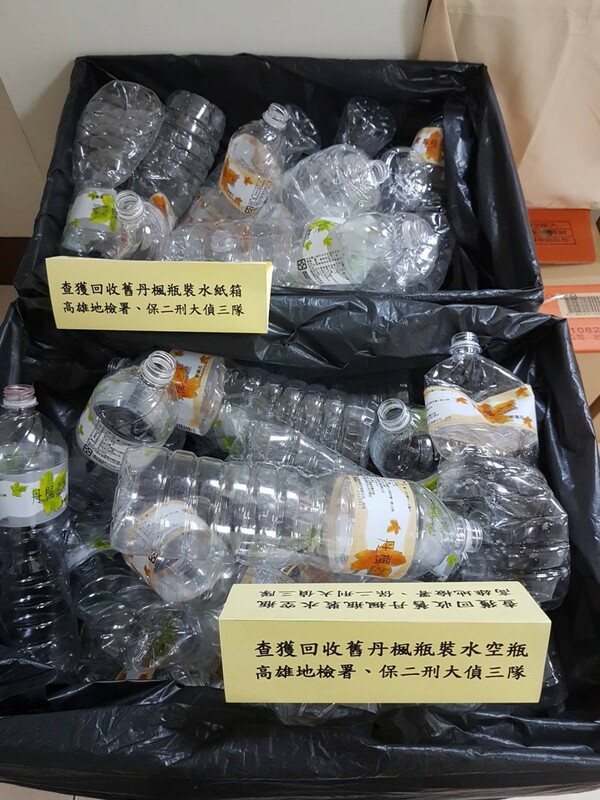 At the scene of the crime, prosecutors and police seized over 140 bottles of fake "Danfeng Water Mineral Water" (丹楓之水礦泉水), bottling equipment, lists of customers, 2,850 plastic caps, 2,710 cartons and more than 20,000 discarded plastic bottles. 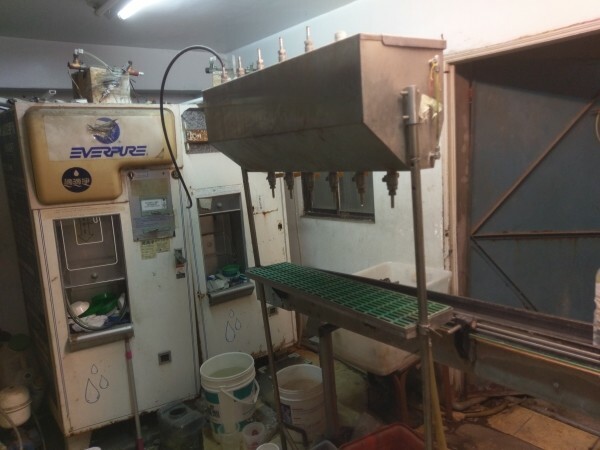 Police found that Lee was familiar with the water bottling process and sales channels because his father had been a water vendor. Since 2008, Lee has been using pipes to steal public tap water from an apartment building. Chen would help Lee gather discarded water bottles from merchants and then at home would use a brush to clean the bottles, fill them with tap water and then place caps on them. 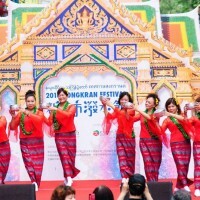 He would then sell each 1,400 ml bottle for the low price of NT$70 in cartons of 12 to hotels, barbecue restaurants and other establishments in Kaohsiung.